Ariana Grande's first release since the Manchester Arena Suicide Bombing in May 2017, it was indeed a very emotional return for Ariana, who fell into a deep depression and contemplated quitting her glittering musical career. Such traumatizing experiences have destroyed life and careers of many celebrities in the past, but Ariana Grande is one strong individual, who rose up from the ashes..like a Phoenix, with this song "No Tears Left To Cry". 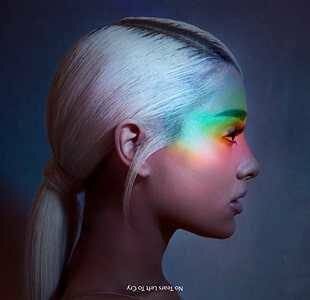 Released on April 20th 2018, from her fourth studio album Sweetener, "No Tears Left To Cry" ..reached the 3rd spot in the Billboard Hot 100 charts. The official music video for the song was released on 19th of April 2018, which has more than 690 million views and 5 million likes on YouTube. Many critics have commended the music video, as a visual treat to the viewers, which is unlike any other music video seen before. With an ever rotating screen, Ariana is seen dancing on roof tops and sides of many buildings , along with a bunch of male dancers. Many YouTubers have commented, that they have to tilt their smartphones many times, while watching the music video..while others had to tilt their neck, just to watch the music video. "No Tears Left To Cry" also became Ariana's most watched YouTube video in a week.